Standing by a roofless medieval church, on a winding single-track road that leads over rough ground towards the sea, Kildalton Cross couldn’t be in a much more remote – or beautiful – location. 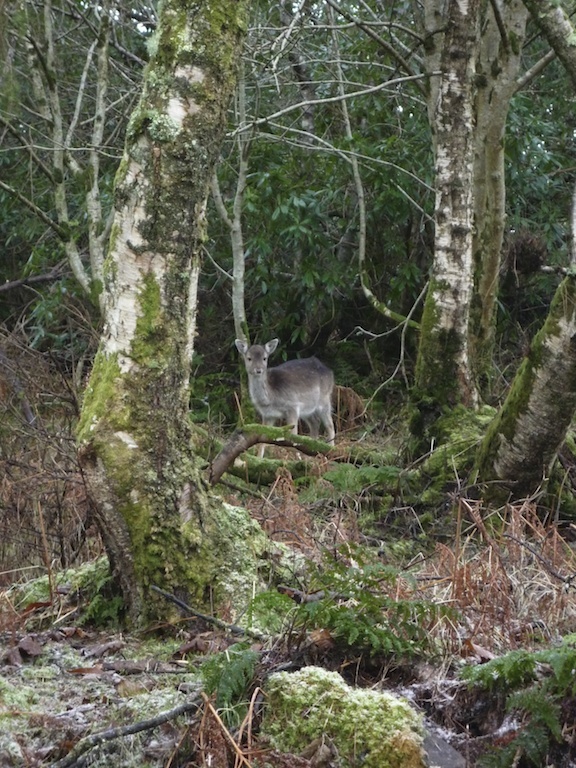 You have to make a special journey to get there: a two-hour ferry crossing to Islay, and then a drive or long walk from Port Ellen, past the whitewashed distilleries of Laphroaig, Lagavulin and Ardbeg, through stands of dark, lichen-covered woodland where roe deer gaze timidly from the shadows, and around small rocky bays haunted by seals and otters. There are a few houses along here, and a couple of farms, but it’s likely that you won’t encounter another living soul. Turning right off this road towards Ardmore Point leads you past Kildalton, a haven in the heart of a haven, forgotten by time and by most humans. Standing in the graveyard of a small roofless church is a beautiful cross. This, according to Canmore, the RCAHMS database, is ‘one of the finest Early Christian crosses in Britain’, dating from the second half of the 8th century. It’s breathtakingly old, and amazingly preserved – there’s hardly any lichen growing on its surface, and it has suffered no damage and very little weathering. The cross stands 2.65 metres in height and measures 1.32 metres across its arms. Hewn from a single block of local epidiorite, it has intricate carvings of scenes from the Bible as well as serpents, lions and birds. It bears strong similarities to the crosses on Iona, and is considered to have been created by the same group of craftsmen. 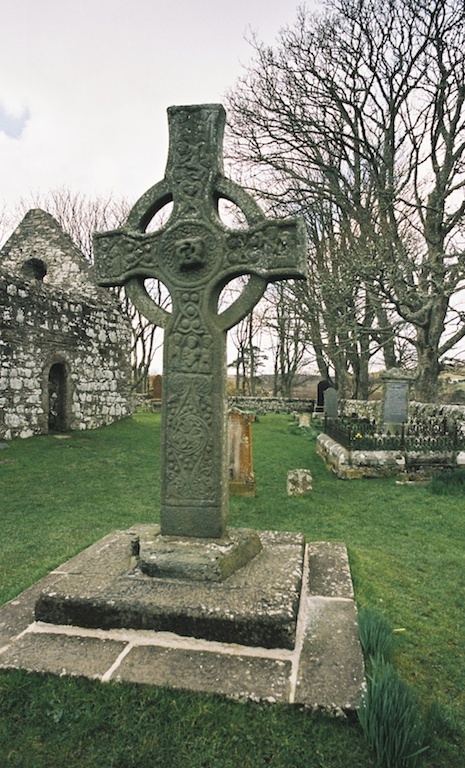 From his study of the origin of Islay place names and their connection with the early Christian church, the historian and author Norman Newton concludes: “…there was undoubtedly a monastic foundation at Kildalton in the Early Christian period, although no surface traces remain.” (Pevensey Guide to Islay). The adjacent ruined church dates from the 12th or 13th century, and may have been built under the patronage of the Lords of the Isles. Used as a place of worship right up to the end of the 18th century, it’s surrounded by carved medieval grave slabs which would be of interest even without the Cross. Apparently, in 1862 Kildalton Cross was lying at an angle, and it was taken down and re-positioned by the owners of the Kildalton Estate. At this time, the skeletons of a man and a woman were discovered buried beneath the cross, the man at least bearing signs of having suffered a violent death. Considering the age of the cross and its position on the western seaboard, it’s very likely that they were the victims of a Viking raid. Now set into a double plinth for stability, Kildalton Cross is in the care of Historic Scotland. The original still stands in its original location, while a copy is in the National Museum of Scotland in Edinburgh. You won’t need me to tell you that there’s something very special about this place. It’s far off the tourist track, and is viewed by more deer than humans even in the holiday season. Hauntingly peaceful, Kildalton is blissful on a still spring day, but it’s a wild place to be when a storm is coming in from the Atlantic. The long fronds of lichen and lush ferns that grow on all the trees hint at just how damp Islay’s climate is – mild and relatively frost-free, thanks to the North Atlantic Drift. Whatever happened here over a thousand years ago, the story lies buried deep, hidden from prying eyes. What attracted the early Christians to this site? 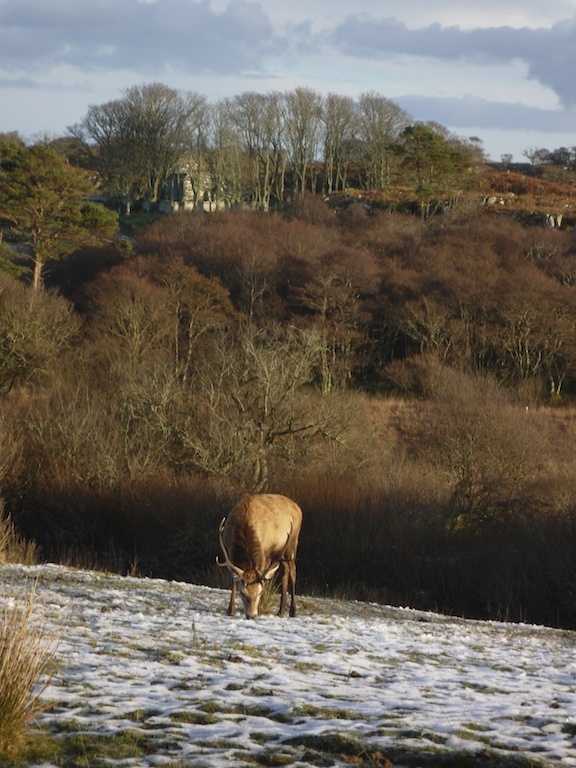 Did they love the island, its wildlife, its changing light and landscape throughout the seasons? Or were they completely immersed in devotion and prayer? No amount of poking around lonely gravestones will tell us that; around Kildalton, the spell cast by time is gentle yet enduring. Wow, you could almost feel the holiness of the area through your photos. Yes, it’s very hard to explain! I’m glad that I managed to convey the sense of being there. I was thinking much the same as Homestead Ramblings, a beautiful, peaceful and special place. I would like to see this for myself, the carvings sound wonderful from your description. It’s a beautiful cross – and a beautiful place, as well. Definitely worth seeing if you’re ever on Islay. That part of the island has a soft landscape, and the road goes on for miles – ending at Claggan Bay, which is a wide pebbly beach.